Holiday Shopping With a Glass of Wine! Warm up with Tassel Ridge Winery’s Traditional Mulled Wine. If you’re like us and like Halloween candy, try these suggestions of Tassel Ridge wines paired with different candies—all selected by the Tasting Room staff. Tassel Ridge Winery is participating in Oskaloosa Restaurant Week, September 14–23. Oskaloosa Main Street and the Oskaloosa Area Chamber and Development Group are sponsoring Oskaloosa Restaurant Week to celebrate local food options. 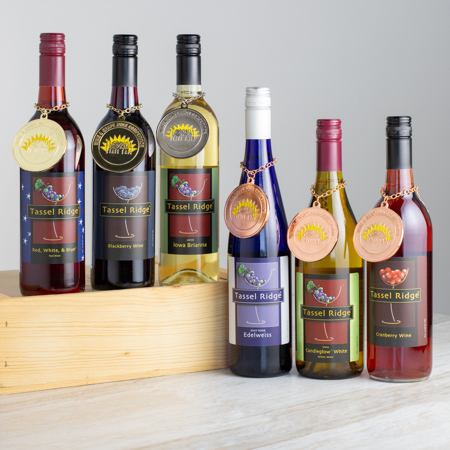 From September, 18–23, Tassel Ridge Winery will offer a variety of wine and food choices.